According to new studies published on the impact of overfishing in Newfoundland and other Canadian coastal communities seems to point to more profits but less fish. It seems that Canada is failing at ocean stewardship. The Oceania report stated that Canada exported $6 billion of fish and seafood products in 2015. A study carried out has shown that Canada's fishery is suffering and the industry seems more focused on making a profit than building sustainable catches for future generations to come. The report that was produced by Oceania Canada was titled, "Here's the Catch: How to Restore Abundance to Canada's Oceans. It is the most comprehensive public study that has been conducted to date on the state of fish stocks in Canada. Dr Julia Baum, the lead author of the study said, "As Canadians, we perceive ourselves to be good stewards of the environment, but when it comes to our oceans, we have failed to live up to that ideal." One of the main points discussed in the report is the data that shows less than a quarter of Canada's fish stocks are considered healthy and that the status of almost half is unknown. The report also outlines the extent to which overfishing and decades of poor management practices have severely depleted fish populations in Newfoundland and other Canadian coastal communities. While the fishing industry in Canada is now profitable than ever, there are some detriments to this that have now been discovered. 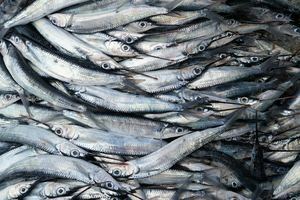 The study does reveal that the $6 billion in exports held deceiving numbers and didn't represent thriving fish stocks. The Oceania Canada report stated that Canada's fishery is getting less and less diverse. Dr Baum said, "Canada is making more money from our seafood industry than ever before, but this is based primarily on a small number of shellfish stocks, mainly lobster, crab, shrimp and scallops. The lack of diversity makes coastal communities and the Canadian seafood industry vulnerable, as communities could have little to fall back on if these stocks decline. The high value that lobster and other shellfish commands are good news, but the seafood industry is concentrated on just a few key species and if the numbers drop, the industry fails. The study does talk about the federal government's commitment to transparency and even gave the example of the Atlantic Cod which is showing signs of a comeback following the moratorium introduced in 1992 along Newfoundland's coastline. Not understanding fish populations and ocean ecosystems contributed to the overfishing as did the overestimated size of cod stocks. The result of this was that the federal government set quotas were too high. Even though inshore fishers reported low cod stocks, scientists chose to ignore the warnings. With proper management and transparency, similar collapses can be avoided and recovery can happen very quickly. The key is effective management. Commercial fisheries that are not managed properly can do a lot of damage to the marine ecosystem. Overfishing disrupts ocean ecosystems. Trawl nets and other fishing gear can destroy marine habitat and catch large amounts of young and non-targeted fish species. In addition to this, processing plants and fishing vessels release greenhouse gasses and other pollutants that affect the environment. Fish and shellfish populations are renewable but if the Canadian fishing industry takes more than is being reproduced, stocks will decrease and eventually collapse. Sustainable fisheries are a must. They harvest fish without depleting them or jeopardizing the ecosystem. Sustainable fisheries can also protect the environment and provide Canadian coastal communities with jobs, food, and government revenues that can be put back into the provinces too. There are some types of fishing gear that can also cause harm to habitats. Offshore commercial fisheries use bottom trawls to harvest several marine species. As the trawlers drag large nets across the seabed, they damage the sea floor and destroy bottom-dwelling wildlife like corals and sponges. They also cause sediment, organic matter, and other particulars to loosen and become suspended in the water. This damages the health of the ecosystem. Nets can also catch species of fish that aren't wanted. Harvesting large quantities of this bycatch can put sensitive fish populations in harm. Bycatch can be reduced by using gear that is designed to trap just one species and let others go. Large mesh nets will catch adult fish only. A strategic placement of nets can also reduce bycatch. After cod stocks collapsed, Newfoundland and other Canadian coastal areas moved to shellfish which dominates the industry today. Shrimp and crab are the two most valuable species. The transition shows how the ecosystem has changed due to decades of overfishing. The decline in numbers of code and other groundfish led to the increase in shrimp and crab. This shift is known as fishing down the food web and is usually the result of unsustainable fishing practices. Changes have been made in the wake of the moratorium including the introduction of fishing gear that traps less young fish and bycatch species. More independent observers have been placed on offshore fishing vessels, and more fishers and scientists are also involved in decisions. Despite the changes, there are still concerns about overfishing in Newfoundland and Canadian coastal communities, and many feel that the federal government is too slow to implement the changes that scientists and fishers recommend. It is critical that the current government and fishing industry learns from mistakes that were made in the past. Preserving the health of the fishing communities in Newfoundland and other coastal communities should be of utmost importance as it has been the pillar of the economy and help shape the culture and heritage of these provinces.